Well, that time of year for the Columbia River Cougar Club dinner-auction-fundraiser to support Cougar Athletics came and went. This year the event was held on Friday, June 5 at the Vancouver Hilton Hotel, as usual. I happened to be on the auction committee this year, and let me tell you, it was a LOT of work. I had no idea how much went into these events. Usually I just show up for cocktail hour and silent auction, everything is laid out on the tables, marked with descriptions, and away we go. Not so much this year. First of all – the soliciting of businesses and Cougar supporters for stuff to auction off is an event itself. If you know of anyone that needs some cold-calling experience, have them volunteer for a fundraising auction. One thing I learned by calling on local businesses is that many of them receive calls EVERY DAY for items to be donated…sometimes 5 a day. I had no idea. Needless to say, many of your calls go unanswered or unreturned. When all was said and done, however, the event turned out to be pretty successful, with all things considered (i.e. economy, job market, general apathy, etc). Attendance at the Vancouver event was pretty close to last year, with about 175. We expected a slightly lower number this year, so that was good news. I don’t yet have the dollar amount raised, but it was definitely down this year, which was also expected. Many people don’t have the extra cash to spend this year, understandably. To give you an example, I purchased two sideline passes for the SMU game in Pullman for $150! These normally go in the $500-600 range. I do have to say that this year was the most fun I’ve had at the event. We had a great table, and the auctioneer actually said we were his favorite table, as well. The primary reason for this had to do with the amount of alcohol we drank, and the fact that our table bid on almost every item in the auction, sometimes bidding against ourselves without knowing. Coaches in attendance this year were Paul Wulff, Todd Sturdy, Steve Broussard, Chris Ball, and Malik Roberson for football. Donnie Marbut was there to represent baseball, Ken Bone for men’s hoops, and Brian Holsinger for women’s hoops. 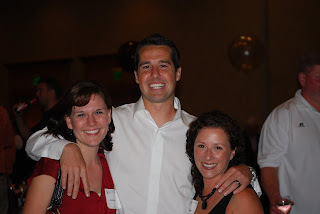 Cougar celebrities in attendance were Jason Gesser, Gary Rogers, and Drew Dunning. Jack Thompson golfed at the tournament the next day, but couldn’t make the auction. 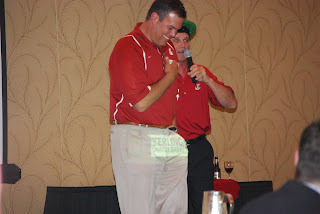 I had a chance to speak to talk to Donnie Marbut quite a bit, and he was very impressive. 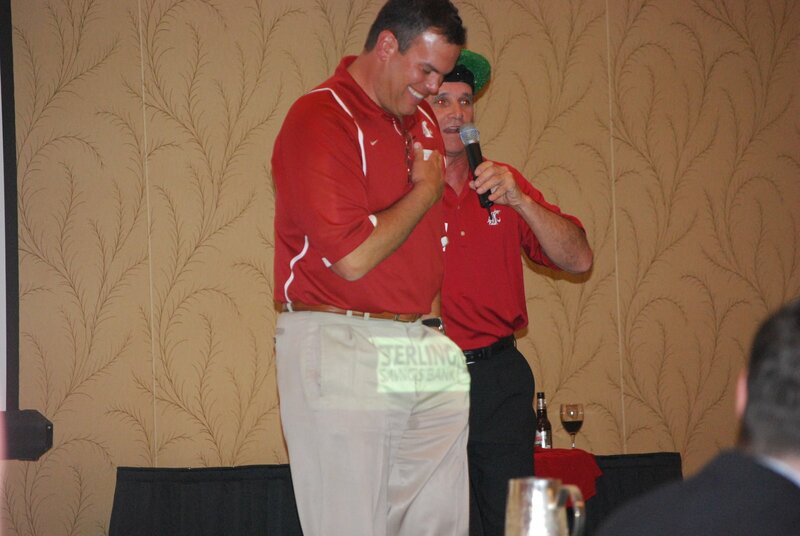 He had a chance to speak on stage, and probably the coolest thing he said was that, although the baseball program has many of their own needs, the most important thing that Cougar fans and supporters can do right now is to get Phase III done. He pointed to Coach Wulff and said that when we have a successful football program, the rest of the sports share in that success (hint: $$). I thought that was incredibly unselfish of him, and showed his ability to see the big picture in terms of Cougar Athletics. In addition to Marbut, Wulff, Bone, and Holsingers also spoke, and all did a good job. Jason Gesser spoke from a former student-athlete point of view, and emphasized the importance of providing scholarships. All in all, it turned out to be a great event, as it always is. If you haven’t had a chance to attend one of these fundraisers, you really should. 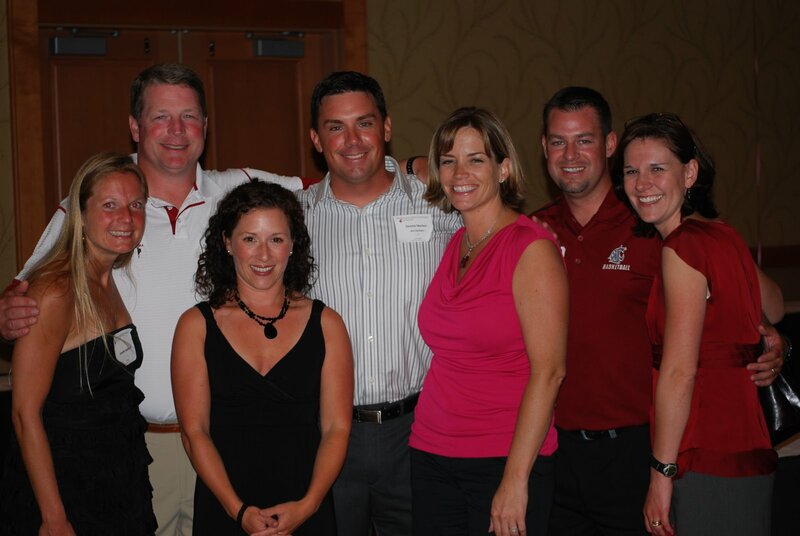 They happen every year in Seattle, Vancouver, Tri-Cities, Olympia/Shelton, and many other locations – all with the goal of raising much needed money for Cougar Athletics. Finally, and just like last year – I have a pic with our friend Todd Thrasher, who organizes this event, and his trusty sidekick volunteer, Michele, one of the great Cougar supporters! That’s it for today. As always, GO COUGS! 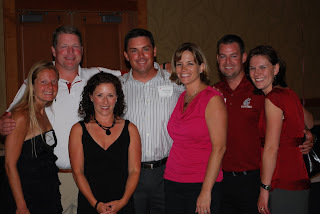 You are currently browsing the archives for the Columbia River Cougar Club category.